Many years to my son Pickles (obviously his screen name) on his nameday today! I can’t remember if I ever shared my St. Michael story. One night several years ago I had a nightmare. One of those hyper-realistic dreams that was almost dreary in its length and attention to detail. We were in some future dystopia in which Christianity was absolutely outlawed and all Christians were rounded up and martyred. In the space between the men and our pitiful group there was suddenly a blindingly bright light that lit up the fog. A figure with wings was standing in the road with his back to us. He was bigger than a man, at least 15 feet tall. He raised his sword. May St. Michael ever pray for us and protect us from all assaults! wow, that is so beautiful!!! What a gift from God! Thank you so much for sharing this. So encouraging. 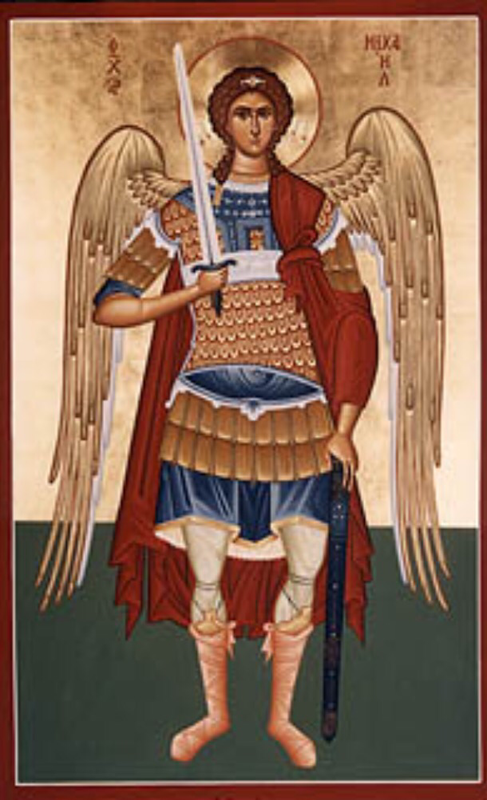 Holy Archangel Michael pray for us!